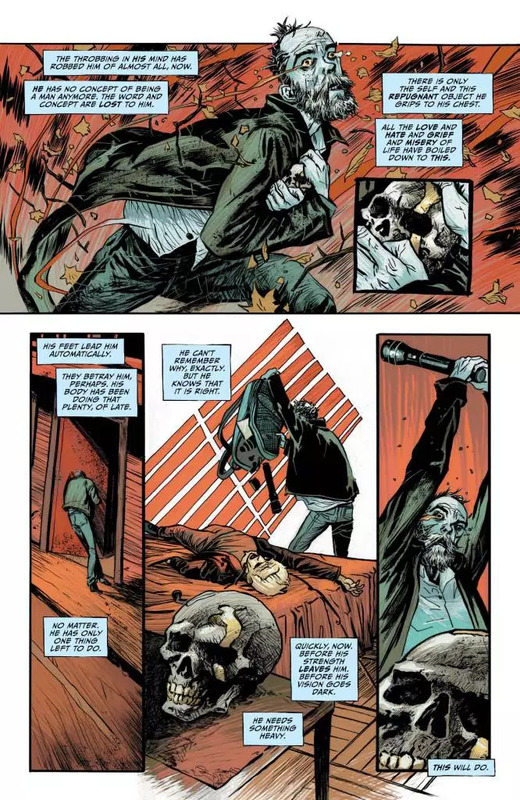 The latest issue of Lucifer brings this particular fallen angel tale to a close, and in his trademark style our leading man goes out with one hell of a bang. But what type of ending would it be without some miraculous rebirth thrown in for good measure as well? 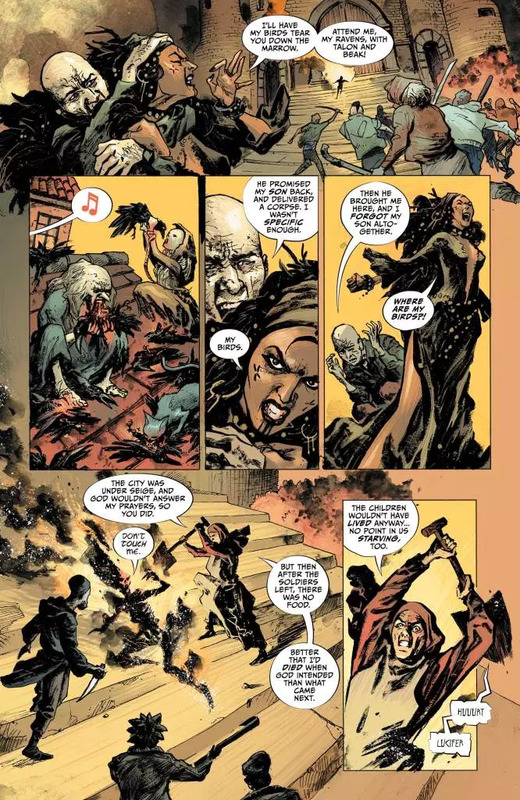 Even with his memory restored and his former partner Sycorax at his side, we still have the problem of the skull of a prison Lucifer finds himself trapped in. Not just Jack but all of his followers are out for the blood of the one who trapped them in there in the first place. Will the Prince of Darkness find a way out of this self-imposed entrapment and complete the reunion with his shunned son Caliban? And even if he does, it’s clear that resurrection carries with it a whole host of consequences and complications. It’s nice to have a series of comics you can rely on to be consistently brilliant. 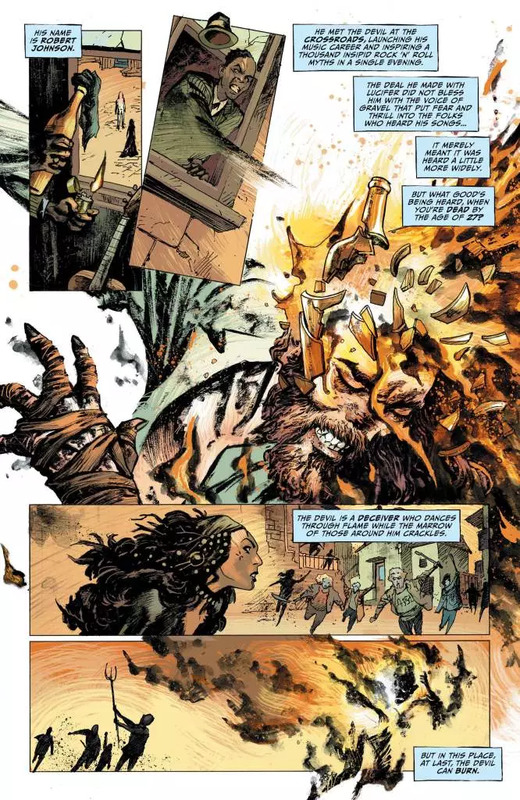 I knew going into this issue that it was the end of this storyline, but given the impressive track record of previous issues and just how much I’ve enjoyed all of Vertigo’s relaunch titles, I knew we’d be treated to a satisfying conclusion here. Dan Watters follows his usual formula in this issue, jumping between the past and present to give the current situation added context. Fortunately it flows naturally throughout, feeling like a beautiful and meaningful part of the story. 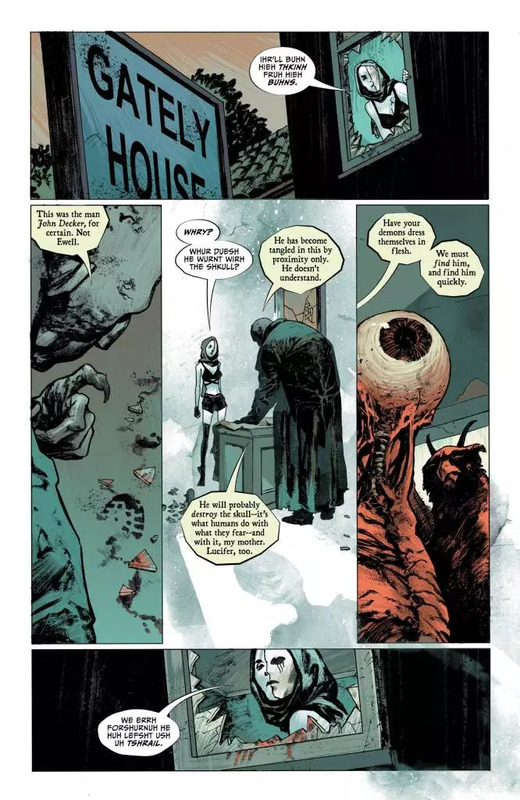 With Watters delving into known mythology and bringing it into the Sandman Universe, it’s really cool to see just how well these storyline aspects work, making it feel like a literary professor decided to try his hand at comic writing, popping Lucifer in between Shakespeare and folklore from the world over. It also probably goes without saying by now that the gorgeous art of the Fiumaras continues to shine brightly here. 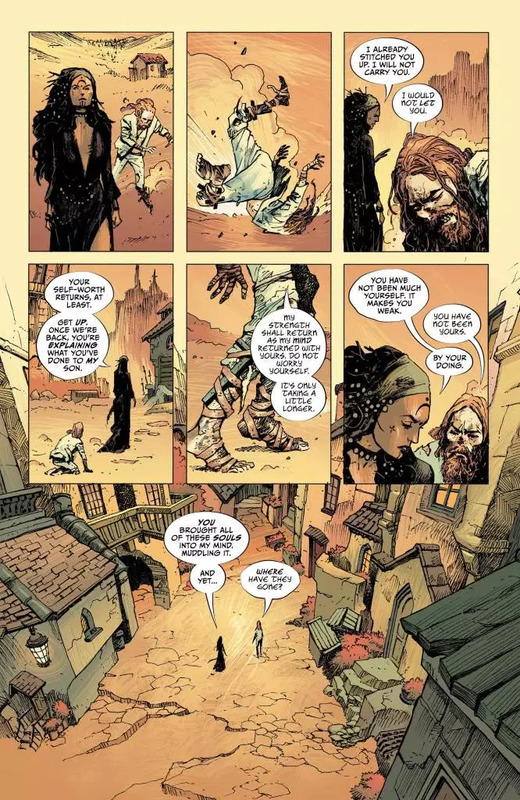 The pair bring a striking Gothic style to the current story, and their depiction of the story of Sychorax reminded me of David McKean’s work on Neil Gaiman’s one-off Hellblazer issue – a personal favourite of mine. 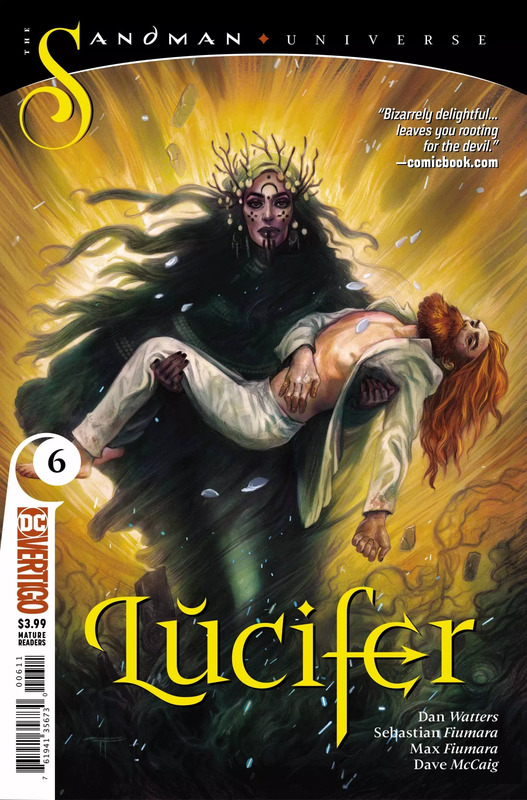 I honestly didn’t have a single question left at the end of this issue, as every one was effortlessly answered with either a word or Lucifer’s well known love of his own voice. The clever git is back to his old tricks and I keep saying this, but it feels like he never really left. 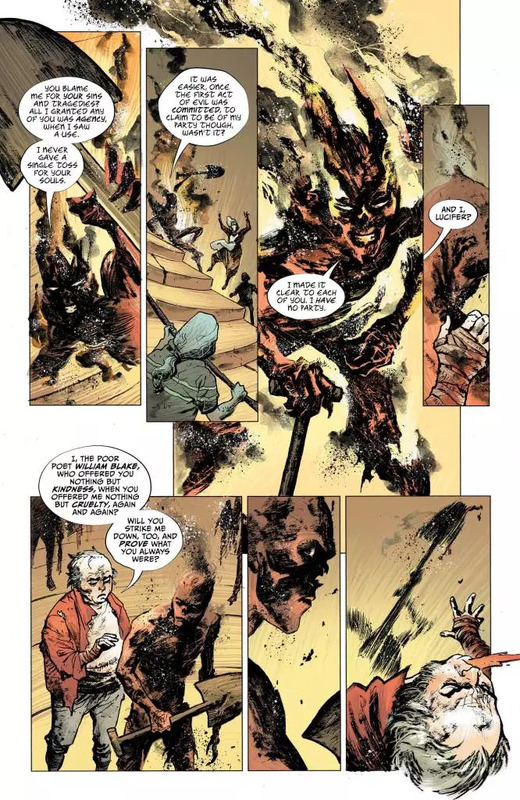 If you’ve been concerned about any drop in quality during the return of The Dreaming, House of Mystery or the rest of DC Vertigo’s Sandman Universe then just give this arc of Lucifer a read and by the end you’ll have permanent smile tattooed across your face. Utterly wonderful.